Are you looking for an amazing, unforgettable experience in a beautiful tropical landscape? Do you want to trek through the jungles and the mountains of the Southern Himalayas? Do you want to follow the trails of old nomadic tribes into their remote villages, and do so while experiencing an exotic world? 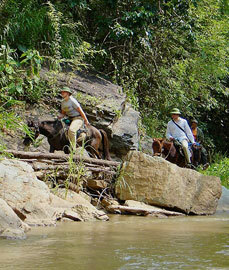 If this sounds like you, than we have just what you are looking for; we offer unique and exclusive horseback riding treks in Northern Thailand. 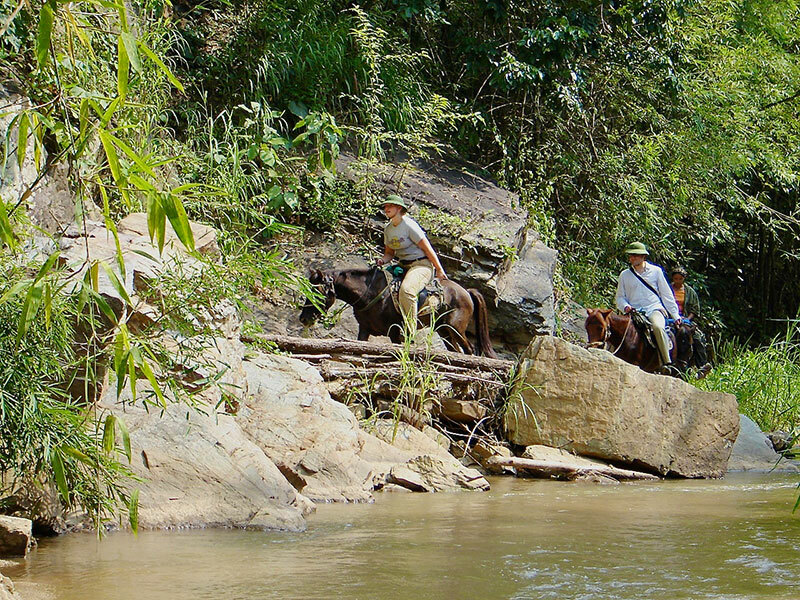 Get to know the wonderful mountain and jungle landscapes of the Sri Lanna National Park in Northern Thailand while taking part in a horseback trekking tour. Enjoy the romance of a campfire, awe-inspiring mountains and jungles with their unique and fascinating sounds. See remote caves, waterfalls and untouched nature. Pamper yourself in natural hot springs and experience firsthand the exotic customs of the Nomadic tribes. For beginners and experienced riders! 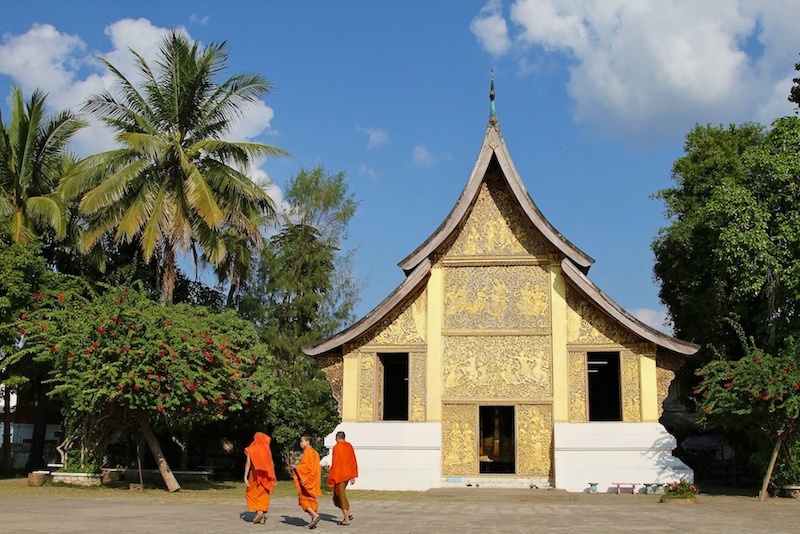 Get to know the real Southeast Asia. Open minded, hospitable people and an area that is full of natural beauty. Let’s not forget the culinary delicacies that will get your taste buds tingling. Enjoy Southeast Asia to the maximum. Let us organize your next vacation to Asia. We can take the stress out of the planning of your tour to Asia so that you can relax even before your vacation starts.